With the launch of this year’s 2014-2015 ArtLink program and this year’s theme “Picture the Moment” quickly approaching, we at Creative Connections are pleased to share some exciting news! In this age of Instagram, Snapchat and social media, countless photos are taken and downloaded 24/7. It seems just about everyone loves to visually document the details of their lives, and that is what we at Creative Connections are challenging our participating ArtLink student artists to do this year. Keeping with this theme, we were inspired to find a way in which we could boost the connections between our partner schools, classes, teachers and students. This fun project, titled “OUR WorldLink,” encourages partner teachers to share pictures of their schools, classrooms and students participating in ArtLink around the world and even at times sporting our logo! 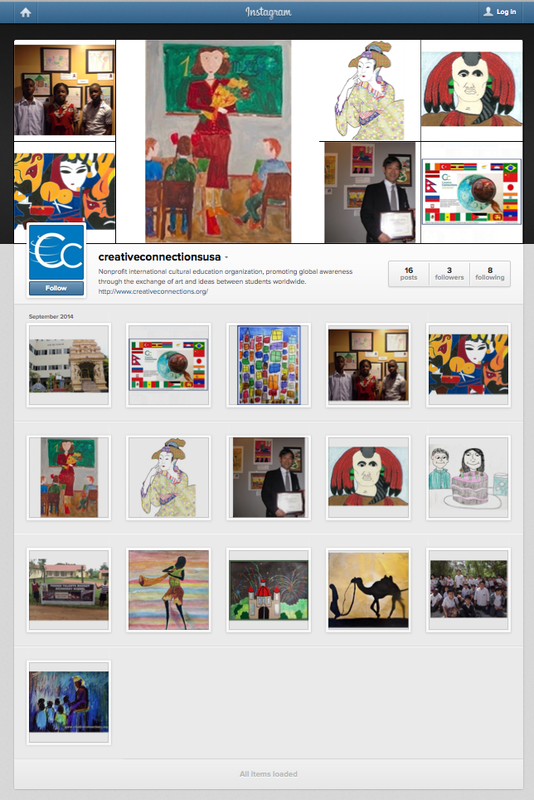 Creative Connections is now on Instagram! Please follow us @creativeconnectionsusa, where we look forward to sharing these photos from our partners, as well as highlighting the artwork as it comes into the office and other behind the scenes moments from our offices and the program year. 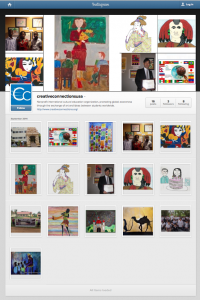 We welcome our partner teachers and schools to join us on Instagram, where they can upload their “OUR WorldLink” photos using the #WorldLink, which will allow these images to be collected and for Creative Connections to be able to repost them on our Instagram page as well!